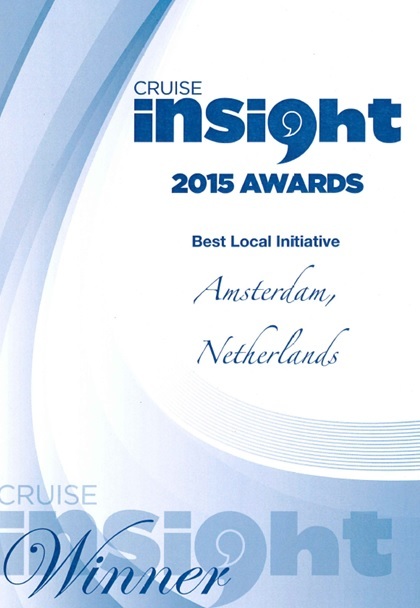 At the Sea Trade Cruise Global in Fort Lauderdale, the Passenger Terminal Amsterdam did win the award for Best Local Initiative. The Passenger Terminal Amsterdam developed a crew lounge to give the crewmembers a special VIP treatment during their stay in Amsterdam. The crew lounge offers free WI-FI, power charging points and snacks. It is deliberately situated at a good location on the Panorama deck to make the crews feel very welcome in Amsterdam. PTA also provides them a book of coupons for nearby shops. Every year prestigious prices are awarded to cruise terminals and shipping companies in the world's major cruise conference Seatrade Cruise Global.